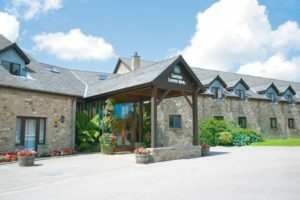 Lion Quays Hotel provides beautiful scenery in a picturesque setting, with private grounds and manicured gardens, as well as exceptional facilities ensure that Lion Quays Hotel is the perfect wedding venue for your big day. 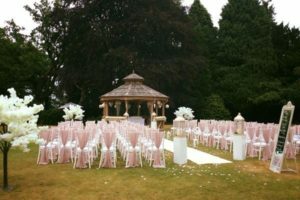 Our expert wedding team know what it takes to make your wedding day truly memorable and fantastic. 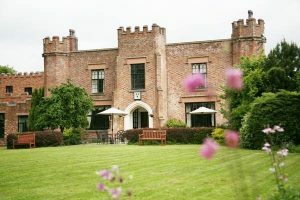 Lion Quays Hotel weddings, view this stunning wedding venue near Cheshire including photos, wedding offers and reviews. 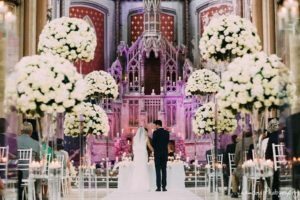 Our dedicated wedding team understand all it takes to make the big event everything you’ve dreamed of, for you and your guests. We’ll always go the extra mile for you too, and if there’s anything we can do to make your wedding even more special, all you have to do is ask. Lion Quays are happy to discuss and plan any personal requests, no matter how big or small. 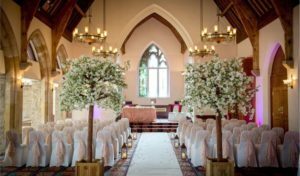 Special couples and special weddings deserve extra special attention – and that’s certainly what you can look forward to at Lion Quays Hotel & Spa. 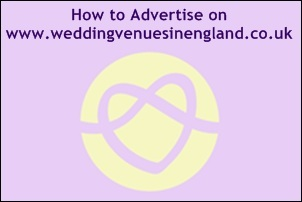 Our specialist wedding co-ordinators are completely dedicated to you. They’ll pay meticulous attention to everything you want to make the day perfect, for you, your family and your friends. 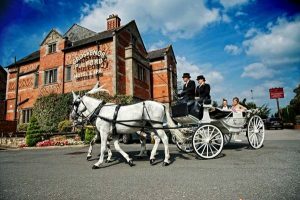 Our wedding suites, private walled gardens and unique waterway setting make Lion Quays Hotel & Spa the perfect place to celebrate in style and form an idyllic backdrop for your photographs. There’s a fantastic selection of wedding menus to choose from, and our team of chefs are happy to work with you to create something even more special if you wish. It’s your day and we’ll do all we can to make it what you’ve always dreamt of. "From beginning to end the Lion Quays were amazing. The Wedding co-ordinator Robyn helped us every step of the way with the planning and was able to put up with my constant questions about various things. From the day we booked to the menu tasting and then the big day all the staff were very helpful and polite. A few days before the wedding we were introduced to Adam the gentleman who would be in charge on the day. Again he is an absolute credit to the Lion Quays like Robyn, as not only did he make use feel like the most important people in the world he also put us both at ease. I even got a sneaky pair of spa slippers as my feet were killing me half way through the day. The staffs sense of humour, helpfulness and politeness also made all our guests feel at home and made the day flow perfectly. The place itself was beautifully decorated and everything went off without a hitch and our room (the bridal suit) was lovely. As for the food it was delicious and we can't fault the chef! It is also worth noting we had some VERY fussy eaters, which the Lion Quays were able to accommodate for and everything went through us before changes were made. What was nice was that the hospitality did not stop once our wedding day was over but continued into the next day. 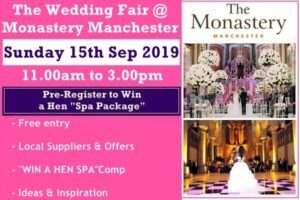 We had booked into the spa and were a bit worried about what to do with the wedding presents we had received as we were moving room but upon mentioning it to Robyn she assured us that everything would be moved to our new room and we were able to spend the day relaxing in the spa. Ultimately we can not express enough how much we enjoyed our special day and we were so glad we went with the Lion Quays. Not only were they good value for money but they also gave amazing customer service. 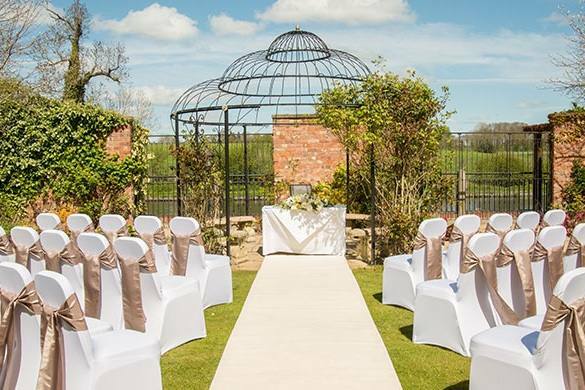 We would highly recommend them to anyone planning a wedding for either the whole day or as the reception venue. 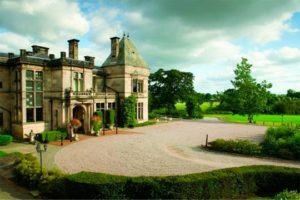 We would also recommend them just for a nice weekend spa break, which we have been on before as well." "Our wedding was definitely a day to remember at Lion Quays. With huge thanks to Robyn who was at the end of the phone constantly helping me and answering my questions I could not have done it without her. Adam as our Master of Ceremonies was also amazing and kept everything under control...including calming me down!!! All of the staff are polite, friendly and will do anything for you which is also a huge added factor to our special day. All of our guests travelled near and far to get here and their accommodation and treatment was perfect! 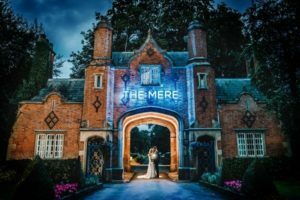 The venue is absolutely stunning and perfect for any wedding with so much space, private garden areas and of course a visit from Eugiene the peacock who also made it onto our wedding photo's. 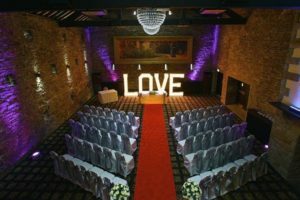 We cannot recommend Lion Quays enough....if you want to get married do it here! 11 months ago was our wedding and I cannot wait to re-visit Lion Quays to remember such special memories & a perfect day. Thank you all." "Getting Married can defiantly be one of the best, but most stressful times of your life, so many things to plan and organise! My husband-to-be & myself visited a few different wedding venues in & around our area! We were surprisingly disappointed how many places didn't seem very interested in our special day! I know so many couples get married, but to us it was very exciting & we expected to be made to feel like our day was as important to the staff as it was for us! This was until we went to The Lion Quays :) right from our first visit we were made to feel very welcome, we were shown around the venue, where they were happy to answer any questions we had. We both new this was the right venue for us! As the months went by... Getting closer to our big day, we were regularly in contact with our wedding co-ordinater. Our food sampling was arranged, our day was planned step by step & anything I needed help with e.g. Organising my table plan they were fabulous, it was like having your very on P.A!!! 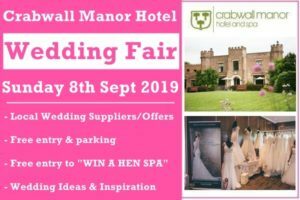 Our wedding co-ordinator reserved the rooms for our family & friends to stay so there was no worry at all about accommodation, we knew everyone could come & enjoy themselves with worrying about getting home! The day was finally here!!!! Up at six... down to breakfast, which was lovely then up to my bridal suite to get ready!!! There was fantastic communication all morning between myself & our wedding co-ordinater, so I knew everything was going to plan!!! We were going to get married in the beautiful gardens but unfortunately the weather wasn't on our side, never the less our ceremony in the conservatory (over looking the canal) was beautiful! The day ran according to plan, family & friends having a great time, my husband & I were very relaxed. I thought weddings were supposed to be stressful?!!! Our wedding breakfast was gorgeous & before we knew it we were on the dance floor! Our special day went so fast but reflecting on our day, it couldn't of gone any better! Nearly a year on & we can not wait to come back & celebrate our 1st year anniversary!"